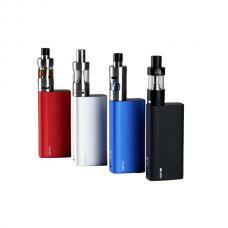 Innokin MVP4 scion vape kit includes MVP 4 temp control box mod and scion tank, five fashionable colors available. 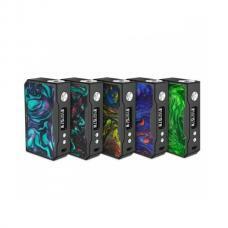 the MVP 4 mod built-in 4500mah battery, max output 100watts, support resistance as low as 0.1ohm, can be used as power tank,support 2A quick charge, the innokin mvp4 powered by aethon microchip, have advanced and easy to use temperature control(SS316L, NI200, TI), anti-dry hit technology coils and integrated charging and overheat safety protections, the 510 stainless steel thread, and gold plated connection pin connects perfectly with almost sub ohm tanks, recommend works with axiom, scion tanks. 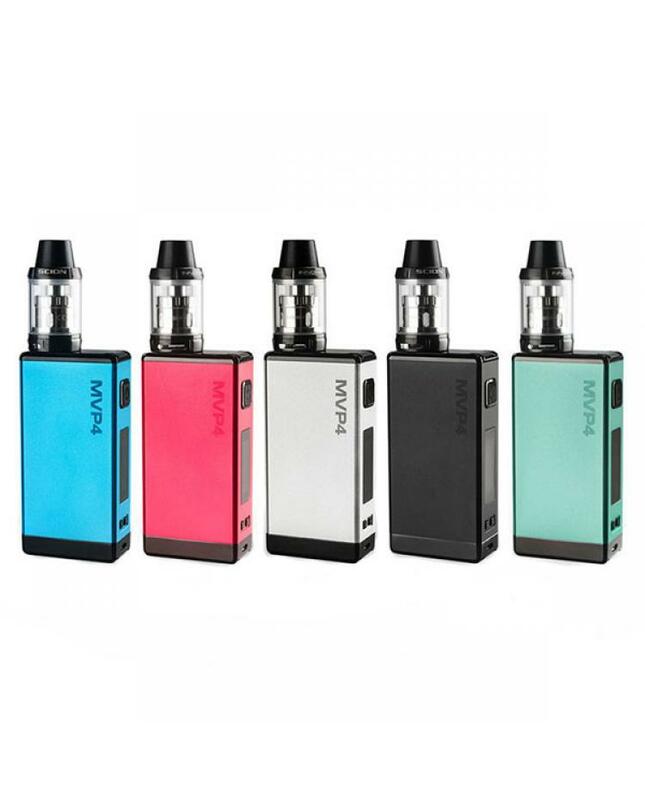 the clear and large LED screen will show you the vaping data clearly, it will show wattage, battery level etc.the 2A USB quick charger charge twice fast and always have power to vape and charge your mobile devices or other electronics. 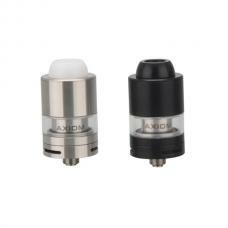 the innokin scion tank designed for better flavor and rich clouds, can hold 3.5ml e juice, made of stainless steel and pyrex glass, top refill and bottom airflow control designs allow inject e juice quickly and adjust the airflow to your preference, comes with 0.28ohm and 0.5ohm coil heads, will provide the superior vaping experience.